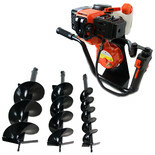 The EDA200 is a top quality auger designed to fit the Clarke ED160 Petrol Earth Borer. 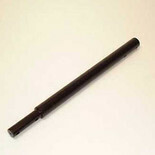 It is manufactured from high grade steel to give outstanding performance and reliability. 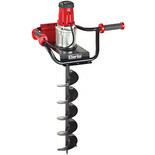 The EDA100 is a top quality auger designed to fit the Clarke ED160 Petrol Earth Borer. It is manufactured from high grade steel to give outstanding performance and reliability. 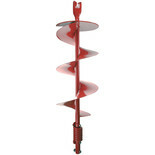 The EDA150 is a top quality auger designed to fit the Clarke ED160 Petrol Earth Borer. It is manufactured from high grade steel to give outstanding performance and reliability. 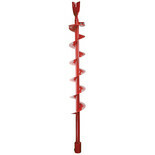 This lightweight 2 stroke petrol auger features an electronic ignition. Hole borer designed for land owners and professional use. 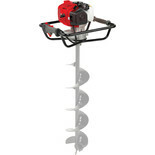 3" Auger for use on PD491 Post Hole Borer. 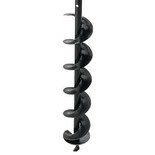 6" Auger for use on PD491 Post Hole Borer. 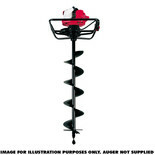 8" Auger for use on PD491 Post Hole Borer.